I had some problems with the ‘Tweak the Arduino Logo’ experiment. 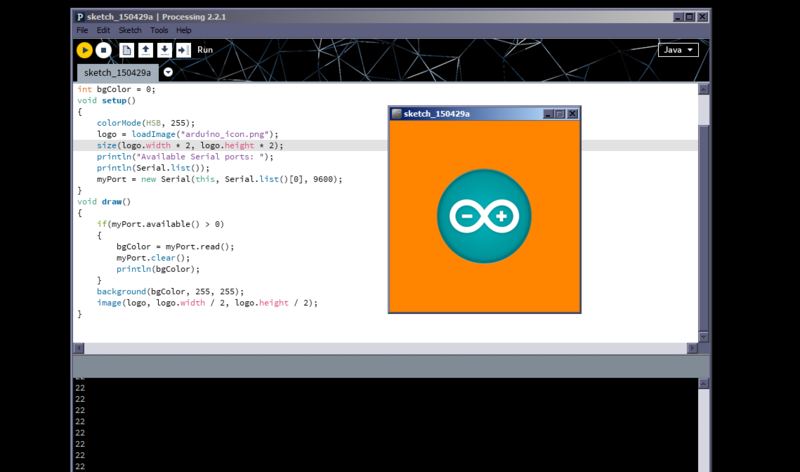 The main issue was that the mini-window the Arduino logo appeared in only held the bounds of the image. It showed no background, and was non-resizable (meaning if you were using a non-transparent logo file format, you wouldn’t know if it was working). The other issue I uncovered was the speed at which the potentiometer was allowed to output data. In the provided code they specified delay(1), but this was much too fast — delay(100) provided better results. So, below, I’ve provided slightly modified code which worked for me. First the Arduino code. The only change was the delay() value. Next we have the Processing code. In this code, I’ve created a larger window (twice the size of the specified image), and placed the image in the centre of this window, so the background colour is easily visible.